The precise grilling and ease of use that comes from a Fire Magic grill is combined with quality features in the Choice C430i built-in gas grill. The two 14 gauge stainless steel tubular burners, producing 50,000 BTUs, are matched with push-to-light knobs and a 9 volt electronic ignition for a grill that is easy to start. The durable stainless steel cooking grid and warming rack provide a total of 614 square inches of cooking area, perfect for a small-sized family. Unique 16-gauge stainless steel flavor grids protect your burners from liquids dripping through the cooking grid. 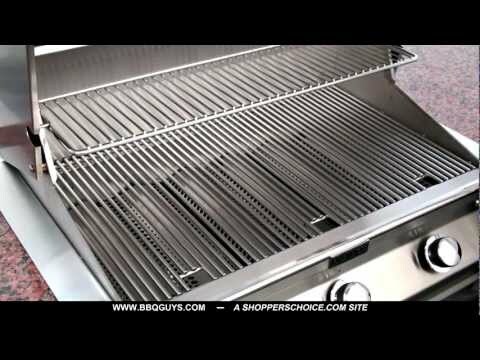 This grill comes on a stainless steel patio post with two rigid side shelves and built-in 3-hour safety timer. Cleaning the grill is easy with the disposable drip pan collection system designed to prevent grease pan flare-ups. A satin-finish face plate, seamless hood, 304 stainless steel, grid lifter and a built-in analog thermometer round out the the final touches on this grill. 24 X 18" 24 X 18" 23 X 15 5/8" 25 3/4 X 17 7/8"